Hiring managers never run out of stories when it comes to sharing the weird behaviour of candidates. From candidates bringing their parents to the interview, to trying to bribe the interviewer with cash in an envelop, hiring managers are never disappointed with the surprises candidates deliver. Recently, a Hong Kong job seeker left a hiring manager speechless following a series of clueless responses in a Whatapp conversation. He called the open position a “rubbish job” and threatened to beat up the hiring manager. The hiring manager shared the exchange with the job seeker on Ziines. The manager received an enquiry from the job seeker about a kitchen helper opening. The job is for six days a week, including Saturdays, but the job seeker prefers not to work on Saturdays. After further discussion, the hiring manager agrees the job seeker can come to work on any five days during the week. The hiring manager then requested the job seeker to work from Monday to Wednesday the next week, but the job seeker did not reply to confirm. After a day, the hiring manager texted the job seeker to inform him he was not offered the job because he did not respond to his request. This triggered the job seeker to go crazy. First, he insulted the hiring manager by saying he has no interest in the “rubbish” job. The hiring manager replied that with such a rude attitude, he would never find a job. 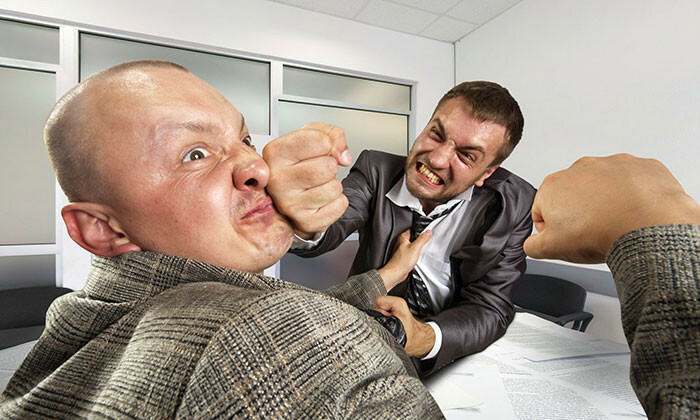 The job seeker responded he wants to fight the hiring manager one on one. He went on to threaten the hiring manager gangster style, warning him he knows a lot of people. Many readers of the post said the hiring manager is lucky the candidate showed his true colours before he was hired, otherwise he may have caused bigger trouble after he was offered the job. Hong Kong is lagging behind its global peers in its adoption of a more fluid workplace. ..